Daryl Bichel received the BA degree in music from Augustana University in Sioux Falls, South Dakota and holds Master of Music degrees from the New England Conservatory in performance of early music and in organ performance. He has served on the Board of Directors for Blue Heron Renaissance Choir, Capella Clausura and the Old West Organ Society. 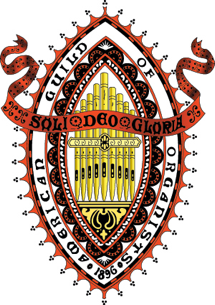 Throughout his career he has been an active member of the Boston Chapter of the American Guild of Organists, having served on the Executive Committee in many capacities, and currently is treasurer. His sacred music posts have included Lutheran churches, Episcopal parishes, an Episcopal cathedral and an Episcopal monastic community. Bichel is very interested in singing and the choral art, and sang for many years with the choir of men and boys at The Parish of All Saints – Ashmont in Dorchester. He currently sings for Night Song and with The Seraphim Singers, serving as President of the Board of Directors. He also has an active career as a substitute church musician, which sometimes involves working with choirs. Bichel is responsible for conceiving Night Song, described several years ago as unique in the entire country by a graduate student surveying compline liturgies. It is partially inspired by compline at St. Mark’s Cathedral in Seattle, a tradition that extends beyond 50 years duration. Night Song is a direct reflection of Bichel’s affinity for Gregorian chant, Renaissance polyphony, jazz and art. It also employs elements of Anglo-Catholic liturgy, such as chant, incense and icons. Beyond that, it provides an opportunity for him to use his skills as a composer. He has arranged two compline settings and composed four other settings, all used regularly at Night Song. These are all used regularly at Night Song. He also has written hymns and psalm settings for Night Song.